We're not just losing the wild world. We're forgetting it. We're no longer noticing it. We've lost the habit of looking and seeing and listening and hearing. 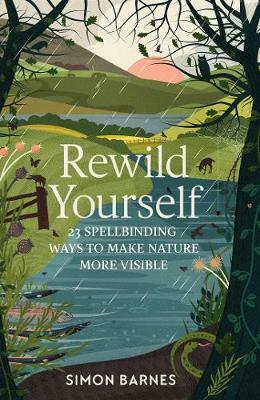 But we can make hidden things visible, and this book features 23 spellbinding ways to bring the magic of nature much closer to home. Mammals you never knew existed will enter your world. Birds hidden in treetops will shed their cloak of anonymity. With a single movement of your hand you can make reptiles appear before you. Butterflies you never saw before will bring joy to every sunny day. Creatures of the darkness will enter your consciousness. And as you take on new techniques and a little new equipment, you will discover new creatures and, with them, new areas of yourself that had gone dormant. Once put to use, they wake up and start working again. You become wilder in your mind and in your heart. Once you know the tricks, the wild world begins to appear before you. For anyone who wants to get closer to the nature all around them and bring it back into focus, this is the perfect read. Simon Barnes was the Chief Sports Writer for The Times until 2014, having worked for the paper for 30 years, during which time he covered seven Olympic Games and six World Cup finals. He is the author of several books, including the bestselling How to be a Bad Birdwatcher. He lives in Norfolk.